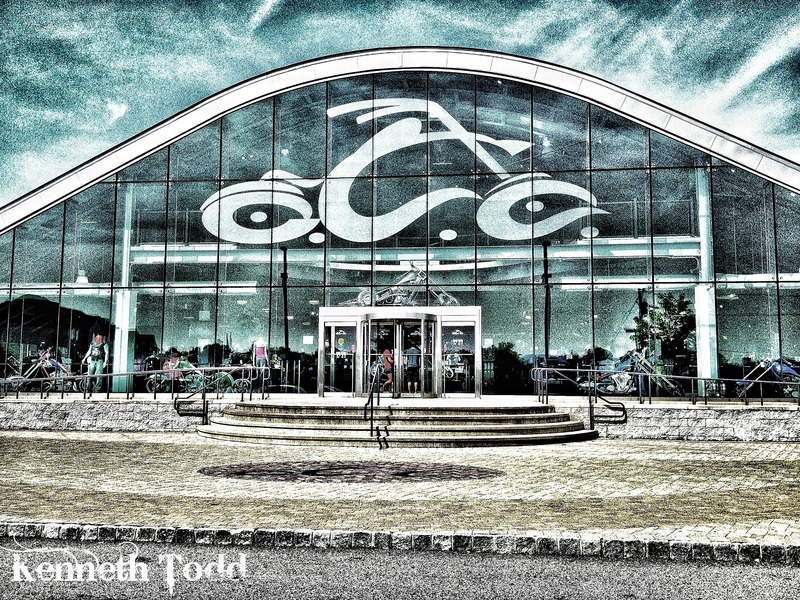 I took my brother and his family to OCC (Orange County Choppers) in NY, which is Headquarters of the TV show American Chopper. This is their store front and you can see the choppers in the window of the bikes they built. They also also have a viewing area where you can actually look through glass as they build the bikes. No arguments to be seen as Jnr has his own shop now. I took this shot with my iPhone. What a great shot … very appealing to the eye.